Like warp and weft, Keya Vaswani and Nidhi Kamath work together to create textile history. 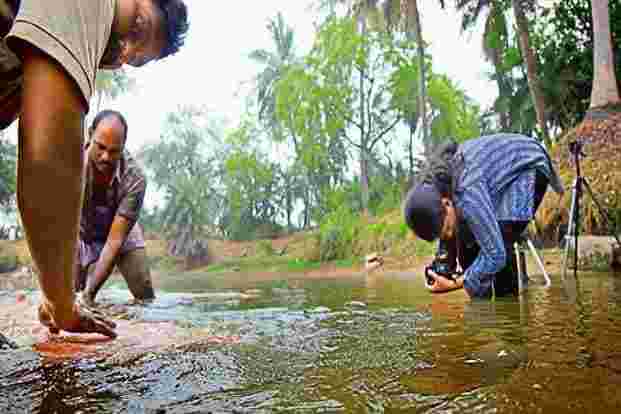 At 26, and within three years of leaving design school, they have built up an enviable oeuvre of short films on India’s crafts; earlier this year, their 30-minute film, Weaves Of Maheshwar, won the Rajat Kamal for the best promotional film at the 63rd National Film Awards. “It was the end of March. We had been shooting a film in Benaras and we were really tired," remembers the Raipur-born Vaswani. 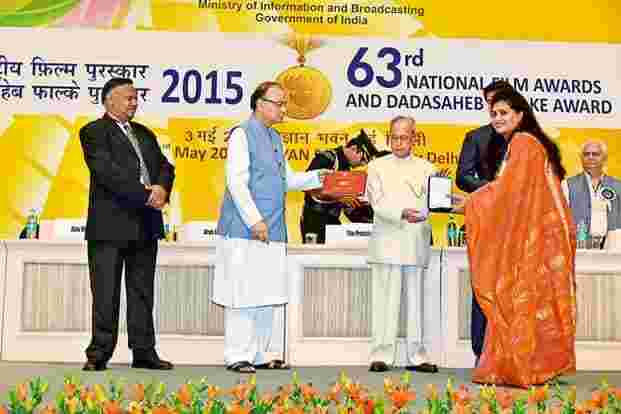 “We heard that the national awards had been announced, so Nidhi went online and checked the list. She didn’t find our names, so we just shrugged and went to sleep. Then suddenly, her phone beeped and there was a text saying, congratulations, you’ve won the award!" Even through the fog of sleep deprivation and euphoria, however, the two didn’t fail to note the poetic justice of learning the news while in Benaras. For it was there, in 2013, that they had embarked serendipitously on the journey that would come to define this early phase of their careers. “We became friends while at the Indian Institute of Crafts and Design (IICD), Jaipur," says Vaswani. 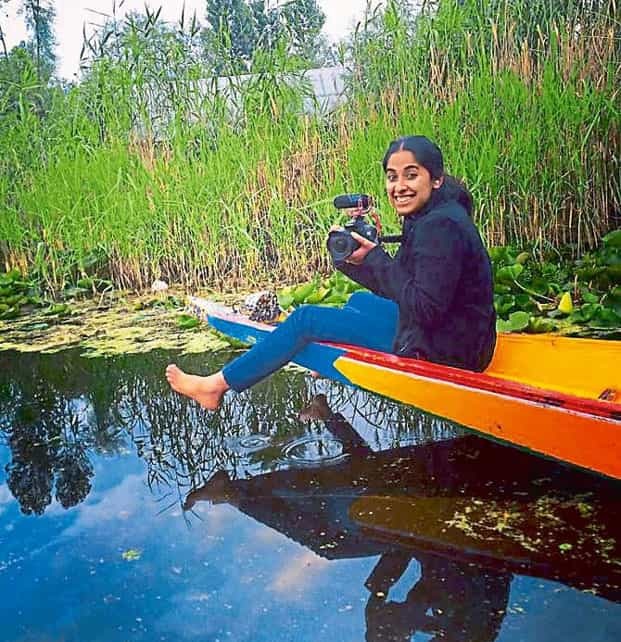 “We were roommates, but we didn’t really like each other initially," giggles Kamath on a Skype chat from Prague, where she’s doing a film-making course. 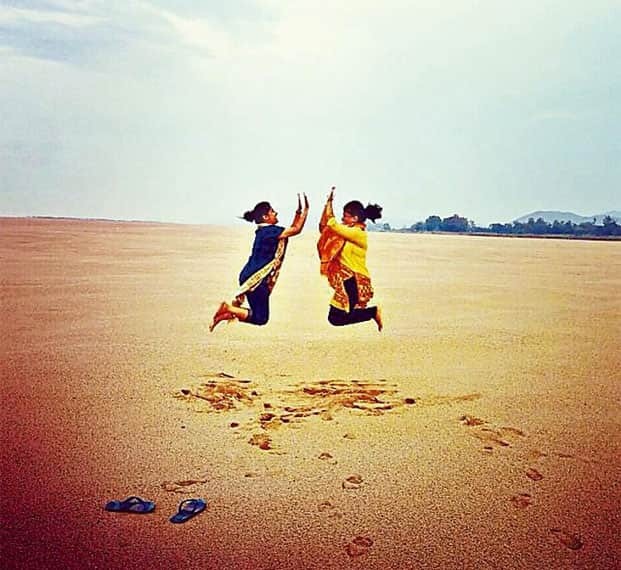 “By the third year, though, we realized we had common interests: the environment, marathons..."
“And both of us loved travelling," adds Vaswani. “Every opportunity we got at IICD, we travelled, whether it was for a conference or a craft." An institute set up in 1995 by the government of Rajasthan, the school, according to Vaswani and Kamath, has a unique mandate: Its students work with traditional craftsmen in their home bases to create products relevant to urban markets. While their Hard Material Application programme for the undergraduate diploma in craft design familiarized them with techniques and production processes for wood, metals and stone (the Soft Material Application covers textiles, natural fibres, etc. ), an unexpected bonus was a particularly well-taught course in photography. “IICD didn’t require us to stick to the straight-and-narrow," says Vaswani. “So in the final year, when Nidhi suggested we do a film on craft— instead of developing a product ourselves—I took only a day to decide that this would be our final diploma project." The inspiration for the duo’s first film, Threads Of Banaras, came from textile historian Rahul Jain, who had earlier mentored a few IICD students. “We wrote to him and it was he who suggested we make a film on the weavers of Benaras," says Kamath, born in Ahmedabad and brought up in Vadodara. “It was a move away from our education over the previous three years but, by then, both Keya and I were convinced that products weren’t our forte. We never trained in film-making or shooting videos, but we were deeply interested in photography and storytelling." For Threads, just under 10-minutes long, Vaswani and Kamath spent three months in Benaras, meeting people—artisans, traders, long-time residents—and shooting the film (with a little help from Vaswani’s brother Palash, a creative director with online entertainment network The Viral Fever), before devoting another three months to editing and finishing the film. Seen today, the film’s amateurishness is evident—the long introduction with the bindi’d foreigners, the mandatory boatman shots, the predictable narrative arc—but as a first-ever film project at the IICD, it not only received commendations but also alerted its makers to the dearth of good crafts films. Between 2014 and 2016, the duo—who formalized their creative partnership as Storyloom Films two years ago—turned their Canon 600D on artisans across India, making 10 short films for the Jaipur-based Anantaya Decor, covering Rajasthan-centric craft processes such as thathera (hammered metal craft), block-printing, sand casting and varq-making, and another five films for luxury brand Good Earth that took them further afield to Machilipatnam (Kalamkari) and an unnamed village of kansaris (bell-metal workers) in Odisha, among other hubs. Talking to Casa Vogue last year, chief executive officer Simran Lal recounted how the first video of the series, called Pehchaan—Jaipuri Handblock Printed Quilt, went viral, with 1.5 million views within days of its release. While thrilled to be carving out a niche for themselves, Vaswani and Kamath were also aware that funds for independent films were hard to come by, even as lucrative commissioned films left little space for their own voices. “In 2015, we learnt that the People’s Archive of Rural India, journalist P. Sainath’s online platform, was offering a fellowship to film-makers to cover a craft in either Madhya Pradesh or Uttar Pradesh," says Vaswani. “While researching possible subjects, we kept encountering familiar stories—of dying traditions, of disenchanted communities, of unsustainable livelihoods. Then we learnt about Maheshwari weaves, which were thriving. And we decided to explore this positive story." The contribution of Richard Holkar, a member of the erstwhile Indore royal family, and his then wife, Sally, in the revival of the Maheshwari is well documented: Their efforts go back to 1978, when they set up the Rehwa Society, with eight women weavers and eight looms. In 2003, Sally founded WomenWeave, a charitable trust, to create and market bespoke woven accessories. With handlooms declining across the country, however, Sally knew it was only a matter of time before Maheshwaris went the same way. Storyloom’s film traces how Sally set up a school for the children of the weaving communities, acquainting them with English and computers, and then slowly making the idea of handloom weaving “cool"—the ultimate to-be aspiration for Maheshwar’s youth, as anywhere else in the country—with the help of visiting foreign textile designers and engagement with a wider world market through social media. Besides the section on a bunch of local youths who trained with WomenWeave and then set up the fashion-forward, “future-oriented" FabCreations in 2011, the film tells the story of unemployed weavers from Barabanki, Uttar Pradesh, who moved to Maheshwar and found both work and financial stability. Vaswani and Kamath’s camerawork and storytelling are non-intrusive—invisibility, they say, is a skill they picked up while working on IICD projects—but perhaps their biggest discovery while on the Maheshwar project is a near-journalistic appreciation of an organic story. Their weeks-long immersions in assorted crafts across the country, coupled with their fresh perspectives and a natural amiability that enables quick integration with village communities, give them a unique advantage in recording lives and skills that rarely acquire mainstream faces.